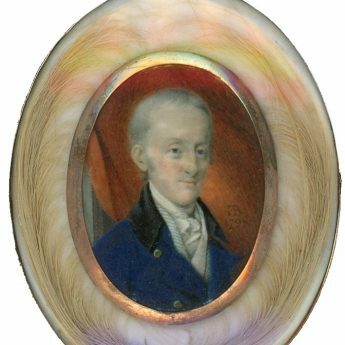 This unusually presented miniature is full of character and shows a more mature gentleman with piercing blue eyes, a high forehead and grey wispy hair and side whiskers. His double-breasted navy blue coat has a black velvet collar and brass buttons and is worn over a green and white striped waistcoat and white cravat. The background is dominated by a deep red drape. 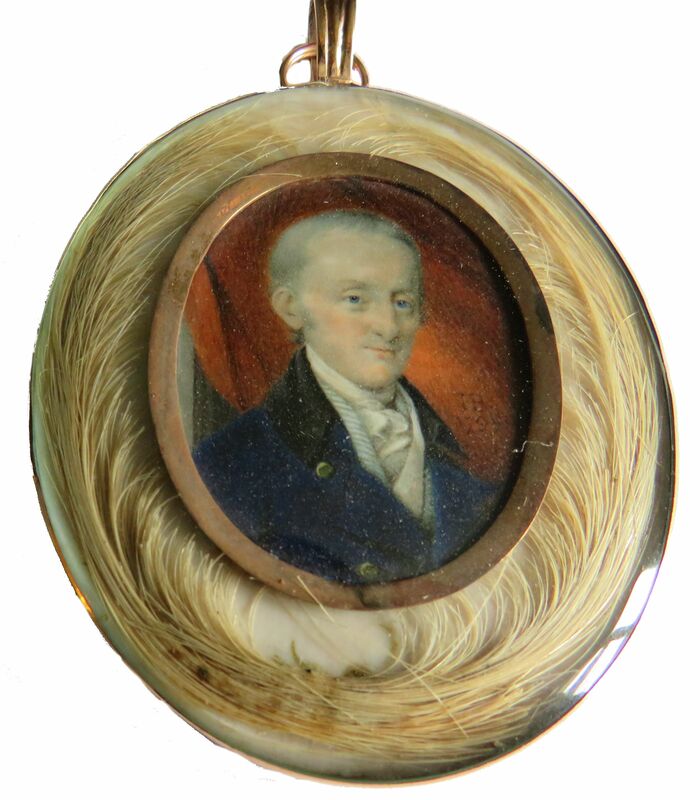 The portrait is signed and dated ”I,B./ 1799′ and is set within a gold mount and surrounded with eye-catching sprays of blonde hair within a larger gilt frame that is enclosed on the reverse. 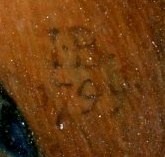 When viewed under magnification, some slight paint loss can be seen on the very outer edge but otherwise the miniature is in good condition. Scottish-born, John Bogle studied in Glasgow having enrolled at the Academy of Fine Arts that had been founded by his two older brothers. 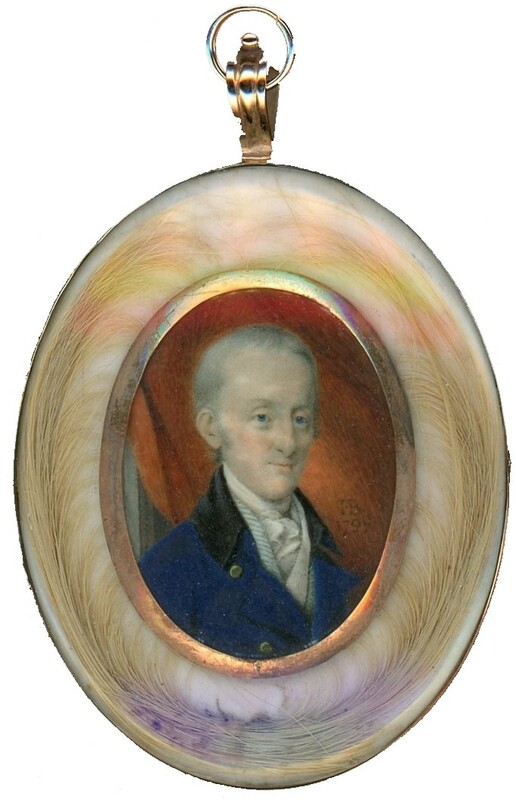 He subsequently worked as a miniaturist, first in Edinburgh and later in London. He exhibited at the Royal Academy between 1772 and 1794. He returned to his native Scotland with his wife in 1800 where he died three years later.